Were the 20 years of experience of use? When teenagers pass their driver’s test they are frequently told that it is the first step towards learning to drive, they will learn more as they become more practiced. Those with more experience will assure them there is much more to driving than merely knowing the law and being able to control a car. Last week I got the opportunity to find out whether in the 20 odd years of driving since I passed my driver’s test I had learned more or forgotten much. This came about, because residents of Texas must hold a Texas Driver’s License once they have been resident for 90 days or more. There are reciprocity agreements in place with other states in the US, Korea, Germany, Canada and France which means that holders of those driver’s licenses can swap their existing licenses for a Texas one. My valid driver’s license is issued in the UK; the lack of reciprocity meant I needed to pass both a knowledge and a driving test to get a Texas Driver’s licence and remain legally permitted to drive here. Things have moved on in drivers’ education in the years since I passed my last driving test. In those days the UK test consisted of controlled driving of a car, demonstration of the ability to stop in an emergency, demonstration of the ability to reverse around a corner and a few questions from the examiner on the Highway Code at the end. This time around I had to pass a full knowledge test after which I would allowed to attempt the road driving test. As a skydiver I was amused to see the comment about driving being one of the most dangerous things most people do. I agree with the statement and wish more people would consider the danger of their morning commute when they express their incredulity at my weekend antics. Having completed my preparatory homework and practised some on-line tests, I hoped that I would have absorbed enough of the differences and new regulations to get the required 70% in the knowledge test to be allowed to proceed to the driving test. I was also practised at stopping at Stop signs even when there is no other vehicle to be seen on the horizon and turning right on a red traffic light if traffic allows. Both of which feeling very alien to me. I could not think what else to do to prepare for the road test. 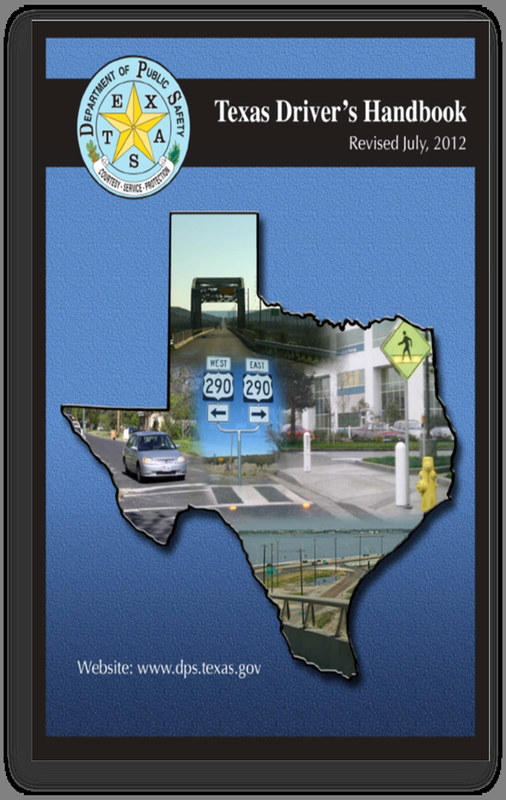 Driver’s licenses are issued by the Texas Department of Public Safety, which has offices in a number of places in and around Houston. I asked some of my local friends whether they had any recommendations on which office to go to and the consistent response I got was ‘drive out of the city to one of the smaller offices’. I heeded that advice and chose to go to the mega-centre in Rosenberg. 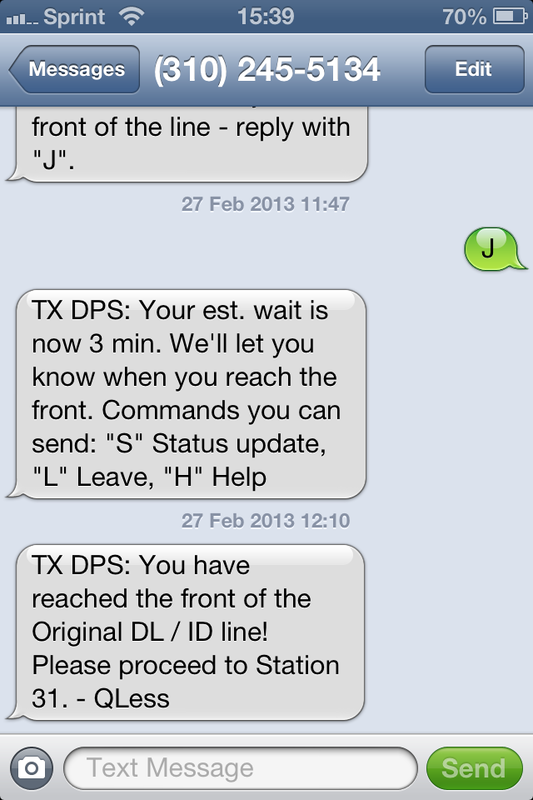 As a mega-centre they have an on-line queuing system, so I was able to get into line before leaving home. I decided to get into the queue before my Art class in the hope that by the time that was over, I would be able to drive to Rosenberg and may be at the front of the line. As my luck would have it, I was at the front of the line within 10 minutes of getting into it. Fortunately, the system allows you to get back into the line by text, which I duly did and I was at the front of the line in another 10 minutes. This time I left it a little longer to get back into the queue by text, and was once again at the front before Art was finished. 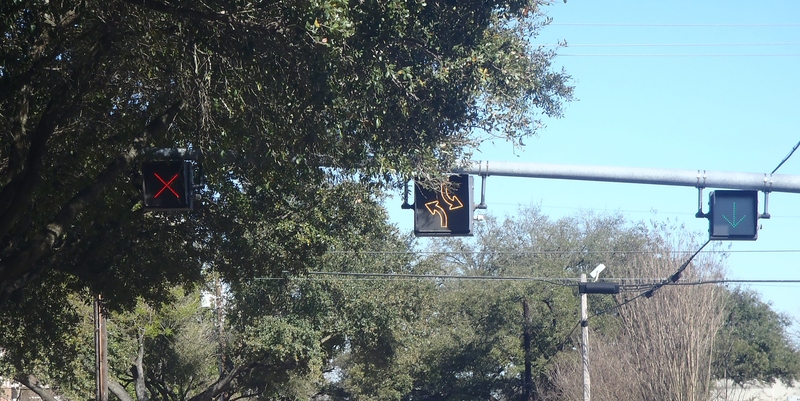 I was a little nervous that it was just a morning lull, so I got back into the line once I was home from my morning at school and set out along the US59. Ten minutes later – a text. I glanced at my phone at a red light to see I was already at the front of the line again. Because I obviously don’t text and drive, I didn’t re-join the queue until I pulled up in the parking lot outside the DPS. I texted to join the queue and was second in line by the time I walked to the waiting area. When I was called, the lady at station 31 was friendly and helpful. She logged all my paperwork on the system, asked me to read out some letters through a viewer to test my eyesight, took my photograph and set me up to sit the knowledge test. The test consists of 30 questions, so I could afford to get 9 of them wrong and still pass. The second question was about the speed limit. 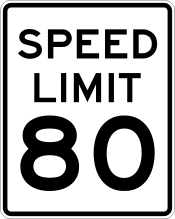 In my experience in Texas, speed limits are posted on the side of the road, and I could not remember what the limit was if nothing is posted. I guessed and got it wrong. The fourth question was about the fines for having open alcohol containers in the vehicle. I know that it is illegal, so I don’t do it and don’t really care that much about the fine, my guess of $1,000 was wrong, it is $500. So I had answered four questions and only got two of them right! I was rather nervous as I continued, fortunately the questions were on topics I knew better and in the end I got 80% of my answers right and could progress to the practical driving test. My examiner’s name was Heather and having checked that my car to ensure it was registered, insured and had been inspected, she joined me in the car and we went for a short drive. It started with a parallel park, which was not my greatest. In my defence I have not needed to park this particular car like that very often. We then proceeded for a 10 minute drive which included a variety of intersection types ending in the parking lot in front of the DPS. Heather explained the errors I had made, including not signalling to go into the parallel park and my position having turned left into a dual carriageway. I could not remember how many errors I was allowed to have and was sitting in the driver’s seat as nervous as at my test all those years ago for the outcome. Thanks goodness. The nervousness and effort had paid off and I am now awaiting my first official form of Texas documentation!